Sizing Guidelines: 2 year - 4 year, 5 year - 7 year, 8 year - 10 year. The elastic design ensures that the socks do not block blood circulation. Hand linking boneless sewing, and there is no rocking belt inside, which is very comfortable. The Y heel design perfectly covers your feet. The mark on the socks does not represent the size of the shoes. If you have any product problems, please feel free to contact us for replacement. 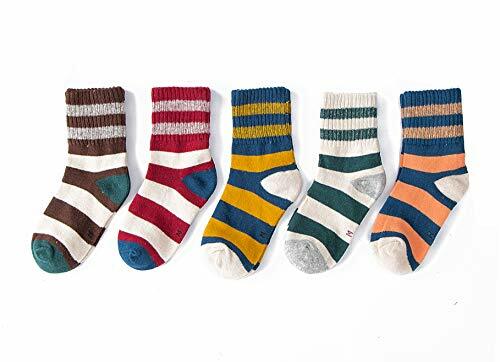 The socks are very comfortable, soft, skin-friendly, durable.